It's going to be a long one today, so I hope you'll stick with me! I'm paying homage to my home for the last 3 years! I want a word for the almost-home. That point where the highway’s monotony becomes familiar. That subway stop whose name will always wake you from day’s-end dozing. When you think of the word 'home', what does that mean to you? Like a lot of things in life, 'home' will mean so many different things to different people. As I make a big life transition: moving from living by myself in a 1 bedroom apartment in the city to moving in with my fiancé in a home in the suburbs, I've been trying to think about what my definition of home really is. I remember when I first moved to my apartment and I started calling my original home, 'my parent's house'. That was really weird for me. Honestly, it's still a little weird. So, in a sense, to me, my true home is the home where I grew up and where my parents still live. But it gets bigger than that because when I was in college, I think I would have defined home as 'Pittsburgh'. This entire city is my home. And yes, I still agree with that, too. Pittsburgh is home. 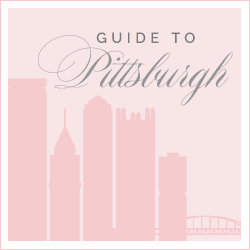 And yet, for the past three years, downtown Pittsburgh, the very building, the very apartment I live in, where I am typing this blog post right now, is also my home. There are also those times when you are not physically home and yet you feel like you are home because you are with all of the people who make it feel homey. I know many of you know what I am talking about! I feel this the most when I am at my family's lake in Georgia. When you think about what home is to you, you might recall one of your favorite songs. There are so many songs that discuss the meaning of home. Besides my favorite OAR song, there's Home by Sundy Best, there's Home by Edward Sharpe and the Magnetic Zeros, Home by Phillip Phillips, Home by Michael Buble, the list goes on and on! With these songs, you can also see that the definition of home varies. When it comes down to it, though, home is really more of a feeling than it is a place... at least it is for me. When thinking about this move, one of the things I can't really wrap my head around is that once I leave this building, I will never really be able to come back to it. I will most likely never see my apartment again and I will never refer to it as home again. It's a really odd realization. I learned this feeling in college as I was about to graduate and move back to Pittsburgh. Sure, I could come back to JMU (and I have!) but the hominess that I felt for those 4 years was gone when I went back after graduation. Now, it will be weird to be downtown and see my building and not have it feel like my home. It's like the first time you run into an ex-boyfriend after a breakup and you realize there are no feelings anymore. Weird, right? I'm a very nostalgic person and one who really likes to reflect on things. One of my favorite things about blogging is that I can look back on this post and remember exactly how I was feeling at this moment in time. There is a very popular quote by Azar Nafisi that you can read above and it's one I visited a lot when I was making the transition from college to the 'real world'. The person I am in this apartment, the single, young 20-something is something that I will never be again. Don't get me wrong, I am so excited about my new house, more space, my new neighborhood, living with my love, the opportunity to decorate, outdoor space for Henry, and so much more. I've been counting down the days until this move!! There's not really a 'point' to this post, I just wanted to share my raw thoughts as I make a big life transition. My boyfriend and I are moving from our first apartement in the city to a house in the countryside in two months. I feel you so much! I am so nostalgic too, I almost couldn't even read this post because I know exactly how you feel! The Friends reference got me too, ugh! So excited for you on you new journey! I'm a Pittsburgher with a similar experience. I lived in a condo for 10 years (my 20s) in Oakland/Shadyside and last year I moved into a house with my new husband on the North Side. Honestly, I love our house and our life here, but I miss that condo so much. Not the literal four walls, but all the memories it held and more importantly what is represented. I grew up in that condo from just a girl in college, to a married women managing an entire production team, so I completely relate and wish you all the best. What a sweet post. Life changes can be so bittersweet.... but memories of your first "single girl apartment" are unlike any other! Tomorrow, my husband & I (and our toddler) are leaving our apartment (our home since we married) and going to a movie set for his job. It's so bittersweet because we will be on set for 3 months and then we come "home" to pack and our company is moving to Nashville. And I kind of know, in my heart, that it just won't be the same again. Just like you, we are excited for the new and good things ahead, but the nostalgia gets me. Oh I definitely understand this feeling! There is something lovely about revisiting a place that is special to you, but you will never be able to visit it while being the person you were when you were there before. It is a beautiful thing that we all grow and evolve, and even though it is bittersweet at times, it is also beautiful that we can have these places that remind us of that previous version of ourselves.